Random And Some: "It is as if the light were ebbing out of the world"
"It is as if the light were ebbing out of the world"
Because I really liked Joseph Conrad's detailed writing in Heart Of Darkness, but not very much the story, I decided to also check out Conrad's 1902 short-story The End Of The Tether. Widow sea Captain Henry Whalley is nearing the end of a long and distinguished career. In his last encore before retirement, Whalley partners with fortune-seeker Massy, and serves as his captain on the Sofola. With a bunch of otherwise-occupied men (the aforementioned Massy, aspiring captain Sterne) on the old steamer also, Captain Whalley has to great lengths to guard his secret. 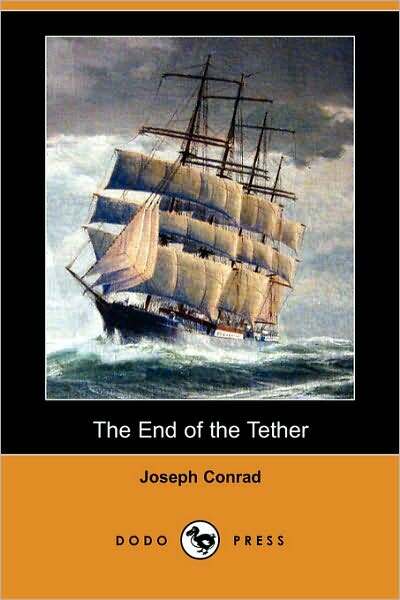 I liked The End Of The Tether better than Heart Of Darkness because the story had more depth to it. Captain Whalley, who just wants to secure some money for his daugther Ivy, is being consumed by his own secret, and all the while, Massy and Sterne attempt to unmask him.